A gripping, disturbing, suspenseful, psychological thriller about a murder and how secrets and lies can destroy a family. A Domestic Noir. One hell of a dysfunctional family. This story is also as much about a family in trouble and the secrets they keep from each other. Will each new revelation be the tipping point of destruction? Or can they ultimately find redemption for their sins. I noticed a plethora of mixed reviews on Amazon. Many people loved this book and some people didn’t like it at all. The linking thread among those who disliked the book seemed to fall in one of two categories. (2) Many readers didn’t like the characters. Well, let me be blunt. Neither did I. But, that doesn’t mean the author didn’t write a well plotted, perfectly paced book full of surprises, cliffhangers and twists. His characters were intentionally flawed and in my opinion it takes a talented writer to pull off such deeply flawed characters. McPherson has given us well developed, believable characters who have major issues, but he doesn’t just drop them in our lap. Little by little we learn about each character’s past and their wound and we come to understand why they behave the way they do. We learn what occurred in both Millicent’s (mom, wife) and Alex’s (dad, husband, narrator’s) past that shaped them into the people they are as the story unfolds. I actually like flawed, unlikable characters. They have depth and complexity that is often lacking in many of the novels I read. So, this is not a mystery. This is not a police procedural. Yes, the story opens with a murder. Alex, and his son, Max discover the neighbor’s dead body while searching for their cat. It’s ruled a suicide … until the police begin a more thorough investigation. The police don’t let on what evidence they’ve discovered or why they want to question, first, Max, then Alex, and finally Millicent and we’re left to speculate the many possibilities. I don’t want to give away the plot so I won’t go into the husband or wife’s motive, but others were equally motivated to kill the neighbor. He wasn’t who he appeared to be. 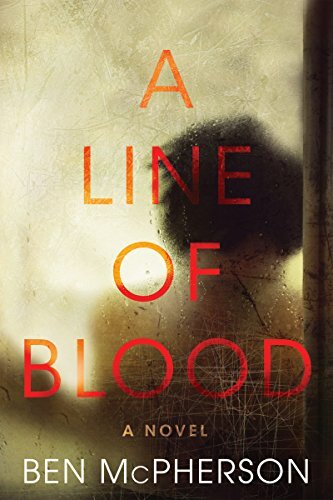 This is a novel of suspense or a thriller, but the author does a damned good job of creating a mystery surrounding the murder of the neighbor — for a while. Honestly, I guessed the killer very early on, but that didn’t spoil the book for me, because his writing kept me on the edge of my seat as I discovered each new lie, secret and act of betrayal or revenge. I like the author’s writing style and voice. I agree that the characters, including little Max, are quite reprehensible — toxic even. Yes, at times I wanted to slap the little boy for his manipulative behavior and grab his parents and shake them out of denial. Whack — smack, wake the hell up. No one let’s their kid get away with the crap Max pulled. Alex, reminded me of a passive aggressive husband, who hadn’t quite gown up. He justifies his behavior and his son’s, regardless of the consequences. Clearly the author put a lot of time and effort into creating these complex, dark, characters. The story is told from Alex’s close, first person POV and his unreliability gives the story an edge and adds to the suspense. The only part of the book I didn’t like or that I found a bit too far stretched or unbelievable was the Caroline subplot. I won’t go into it, except to say that it seemed forced. It felt like the author needed to create enough suspicion and a dark enough past for Alex to convince readers early on of his guilt. What’s the writer’s rule: Follow through on your promises to your readers? Well the author built this up and then when we finally learn about the Carolyn story, it just doesn’t fit with the storyline and in my opinion he failed to follow through on that promise to his readers. A lot of foreshadowing and foreboding and Splat — a whole lotta nothing. The author’s biggest gift is his ability to write fascinating, entertaining dialogue that moves the story foreword. I had to force myself to put this book down at night so I could sleep. I read it in two nights. As a parent, I could see no other ending, so I had no problem with it. I won’t give it away. After you read it, feel free to come back and throw bricks at me or call child protection services or whatever you think is the more appropriate choice. A parent’s love will always prevail. Now, I am not saying that’s what I would do in all cases involving my own child, but in this one particular case, (hint hint) I see no other possible solution. You will have to read the book to let me know how you would have handled this horrific situation. Do you like domestic noir? What’s your opinion on all the books that have followed in the footsteps of the very talented authors, Gillian Flynn and Paula Hawkins? Both of their books became overnight best sellers and then major motion films. Can you get past unlikable, seriously flawed characters if the story and plot are compelling? Are you turned off by these scheming, jealous, raging narcissists? Or do the raw emotions of these complex characters add depth and believability to their motivation. If you like this genre, can you recommend a favorite? That's quite a glowing review. The book sounds complex and fascinating. Sounds like an intense read, though not my kind. And that's where many readers don't get it, I think. They want the story they want. I know people who only read a narrow genre list, and if they pick up something beyond that they'll write a scathing review. It's unfortunate. Yes, Hilary. And I believe he has a big future ahead of him. Some authors just have that something extra in their voice. We hear agents talk about it all the time and never really know what they mean. Now I do. I was just thinking that I needed to read a good thriller and here you've given me one! Thanks.